In Final Fantasy XIV, there's some pretty unique terminology, unlike buy Final fantasy xiv gil, which may confuse some players. But fear not, I'm going to decipher them, why they're important, and what they do for you. Guildhests are nothing to be afraid of. When you're level 10, you'll unlock your first one, which can be accessed via the Duty Finder. They're similar to dungeons, in that they require a party to complete, but often just focus on one objective. Apart from a big one-time bonus for completing Guildhests for the first time, they're primarily intended to teach new MMO players on working together, and about their roles of tanking, DPS and healing. Regardless, they're worth doing for new players and veterans alike. Finally we come to Guildleves - they are repeatable quests players can perform to earn experience, gil and items. 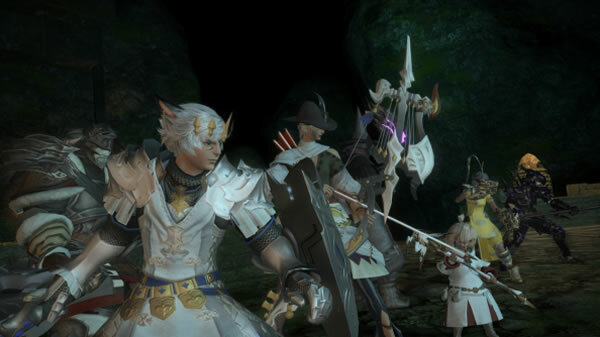 Unlike regular quests, which can only be performed once per character, levequests can be performed again and again as long as the player has Leve allowances. Tradecraft Leves require you to hand in specific crafted items, and if the player hands in high quality items the experience reward is doubled. Fieldcraft Leves give players the task of gathering materials within a certain time limit. You only have a limited allowance of Levequests - players gain three allowances every 12 hours, stacking up to 100.